Yesterday started out early. Way too early. 4 AM EARLY. Josh had plans to be up for Black Friday (the shopping day, not our diet) and Gav heard his alarm go off. I didn’t hear a thing so that tells you what a light sleeper he normally is. Josh put Gav back in bed and we thought all was well until Josh walked out the door and all hell broke loose. Can someone please tell me how my children know when their father is gone? Am I really that much of a push over? Gavin kept getting out of bed which woke Liam. To make a long story short, none of us ever went back to sleep and we decided to quit trying at 5:30. This was not really the best way to start out our new diet. The night before I had made grape jello (one of the first foods on the intro diet-made with pure gelatin and 100% juice). I was excited because I was sure the kids would love being able to eat jello whenever they wanted. Jello for breakfast? Cool! Wrong! They had tons of fun squishing it and playing with it, but both refused to eat any. Liam usually devours anything, so that was a huge surprise. So, instead of a fun jello breakfast, both boys ate chicken. I was gagging dishing up chicken breasts at 6am, but they both ate a ton and never complained. Whatever, boys. The rest of the day was spent snacking on chicken and drinking cider (apple juice is forbidden but cider is ok-I still have yet to figure out why that is). We had bunless burgers sans ketchep for dinner with VERY cooked carrots. The boys missed their ketchup, but they both ate good dinners, thankful it wasn’t chicken again. So far, I seem to be having the hardest time on this diet. Irritability is one of the early side affects and boy was I crabby yesterday. The boys were happy and didn’t seem to care that they couldn’t have fruit, or Rice Chex, or milk. Today is better for me, but Liam is having a rough morning. The yeast die-off can cause flu like symptoms for up to 10 days so that should be incredibly fun! Gav did have good poop yesterday, so that’s a plus and we’re still waiting on Liam’s. 🙂 If poop is more normal this weekend, I plan to add pearsauce, applesauce, and mashed bananas to our menu on Monday. Woo hoo! That’s what I’ve begun to call Friday around here. Not because of the crazy shopping or the fact that my dear sweet husband LOVES to get up before dawn to stand in line at Best Buy every year. It’s Black Friday because we’re starting the Specific Carbohydrate Diet this week. I plan to LOAD up at Thanksgiving, so hopefully my body won’t notice it’s hungry until Sunday or so. 🙂 Gosh, I hope it really isn’t that bad. I have had a rough few weeks just knowing this day was coming. Some things I have to do this week still in preparation: buy unflavored natural gelatin (do you know what this stuff really is?? ?-look it up I don’t want to ruin it for you), make homemade yogurt, make applesauce (just got a bag full of yummy organic apples for CHEAP from a friend), stew a chicken and save the broth (we will be eating lots of chicken broth the first few days), and buy a bunch of tomatoes and freeze-didn’t know I could until recently, and last, make homemade ketchup. I am SO not good in the kitchen and I like things QUICK. This diet is the exact opposite. I need to make just about everything, down to grinding almonds into flour to bake with (oh, better add that to my list). I guess this will definitely make me Little Suzie Homemaker for sure! I’m still really struggling with a lot of the SCD recipes because they contain dairy and/or eggs, 2 main things Gav is sensitive to. I did find a blurb on a web site that said mashed or pureed banana or squash can be substituted for eggs, so that should help. We are supposed to stay away from all things almonds for a while (meaning almond milk) so I’m not sure what to do about the “dairy” ingredient. We may just have to bypass those recipes until we can add “dairy” or a dairy-like substance back into the diet. Sorry if I seem to blog endlessly about my fears regarding this diet. I really still don’t quite know what we’re going to eat early on because of Gav’s sensitivities. I guess we’ll be eating jello and veggies for breakfast. Just kidding….well, not really. Raun Kaufman was diagnosed as being severely autistic and mentally retarded when he was very small. Instead of believing that there was no hope for their son, Raun’s parents fought back and broke the autism shell that encapsulated him. They have written several books on their journey and the following is the forward written by Raun himself in their newest book. It’s amazing to think that this young man was ever diagnosed autistic. This gives me great hope that Gavin will one day tell people he USED to have autism. Do you ever wonder why things turn out the way they do? I do. Every so often, I ask myself why an event in my life occurred, if maybe it had some sort of purpose or reason. I realize that, in the larger scheme of things, I can never really know why events happen or if there is some sort of grand plan for us all. I do believe, though, that each event offers us a brand new chance to change ourselves and our lives, whether the change is slight or sweeping. Even if we can’t know whether there is some great cosmic reason for the workings of the world, we can still give events meaning with what we do with them. When I was diagnosed as autistic (and also severely mentally retarded, with a below-thirty IQ), my parents were given ample opportunity to treat the event as a tragedy. The whole world saw autism as hopeless and encouraged my parents to see it that way too. Sometimes it dawns on me how close I came to spending my life encapsulated inside my own head, lacking the tools to interact with the rest of the world. My autism could have been just another event without meaning or explanation. What turned it around was not a string of events, but rather a wildly different and unheard of perspective: Refusing to accept the age-old view of autism as a terrible catastrophe, my parents came up with the radical idea that my autism was a chance – a great opportunity, in fact – to try to reach a child lost behind a thick, hazy cloud. It was a chance to make greatness out of something commonly viewed as unquestionably sad and tragic. This perspective, combined with a passionate relentlessness on the part of my parents, enabled me to undergo a spectacular metamorphosis and emerge from the shell of my autism without a trace of my former condition. When I think about what my parents did with my autism, I see what a tremendous role we all play in each event that confronts us. It was not my recovery that made the event of my autism amazing and meaningful (though, needless to say, I’m very happy with the outcome); it was my parents’ open-minded attitude in the face of my condition and their desire to find meaning in it regardless of how I turned out in the end. You don’t have to “cure” your special child in order for his or her specialness to have meaning and value. The value lies not in “results” but in how you treat your situation and your child. The question of what is and is not possible has forever been bouncing around in my head. I have definitely had a few times in my life when I chose not to bother attempting to accomplish something because I thought, “That’s impossible.” At other times, I catch myself thinking this way and realize that it is precisely this type of thinking that could have landed me in an institution for the rest of my life. If there is one thing my life has taught me, it is that anything is possible. I don’t mean this idea in the superficial way it is often used. I mean to say that nothing is beyond our reach if we honestly believe that it is within our power to reach it. I’ve found that I, rather than any external situation, am my own biggest limiter. One line that parents of special children hear more than anyone else is the “that’s impossible” line. The “experts” showered my parents with prognoses like “hopeless”, “irreversible”, “unreachable” and “incurable”. All my parents had to do was believe these “experts” (not a difficult task, since these doctors had plenty of evidence to back their opinions), and my journey would have been over. Instead, my parents defied the professionals, disbelieved their prognoses, and grabbed hold of the belief that they could at least try to do the impossible, reach the unreachable, cure the incurable. “But your son has a devastating, lifelong condition. He can never come out of it” the doctors scolded. Many, especially the “experts,” might claim that I am advocating “false hope.” “False hope”? What do they mean by “false hope”? How in the world can anyone put these two words together? When I think about my successful academic career, my fierce tennis matches, my love of Stephen King novels., the fantasy and science fiction short stories I’ve written, my admittance to the university of my choice, my best friends, my girlfriend, and my complete and ecstatic involvement with life, it occurs to me that each and every one of these is the product of “false hope.” Nothing can ever be bad or wrong about hope. Not ever. I advocate giving yourself and those around you as large a dose of it as possible. Yeah, I’m an excellent driver. Actually, I’m majoring in biomedical ethics. Oh, my career after college? I haven’t the foggiest clue. No, I only spin plates during really boring physics lectures. Sorry, I’m busy this Friday night. Speaking of questions and answers, I have talked with parents of special children from many different countries and throughout the US, and I’ve had the chance to answer scores of their questions and ask some questions of my own, as well. They all want the best for their child; they all have a strong desire to help their child in any way they can. Many of these families also see their own or their child’s situation as horrific. In addition, they want to be “realistic” and not pretend that their child’s situation or potential is better than it actually is. It makes perfect sense to me that parents would think this way, but there are other ways of looking at things that might be more productive as well as more fun. Personally, I see autistic children as possessing a unique talent and ability, not a deficiency. When this talent and ability are embraced instead of viewed with horror, some amazing things can happen. Kids can make leaps people never thought possible. As for being realistic, it’s not all it’s cracked up to be. Very often, I wonder how I can be realistic and optimistic at the same time. How can I have boundless hope and aspirations and still keep a down-to-earth perspective on things? Well, many times I can’t. Sometimes I choose realism, and when I do, I can always be sure that nothing that happens will exceed my expectations. But when I choose limitless optimism, I don’t put any ceilings on my dreams and goals, and, as a result, sometimes I get more and do more than I ever could have accomplished by being realistic. The telephone, the automobile, the polio vaccine – the people who brought these things into being were extremely unrealistic. Realism only preserves the status quo. Nothing was ever accomplished by a realist. Every great discovery and achievement in history is the fault of unrealistic people. My parents’ lack of realism is what got me to the place I am now. Consequently, I try never to tell anyone around me to be realistic. Sometimes, when I think about the continuing savage violence around the world and the pervasive racism in America, I have a hard time being optimistic. Plastered all over my wall in my dorm room are pictures of Bobby Kennedy, my favorite person in history. War and racism were also major concerns for him, but he never let the state of the world bring him down. So when I think of the things I want to be different in the world and I think about being unrealistic and I think about hope, I try to keep a quote of Bobby Kennedy’s tucked in the back of my mind: “Some see the world as it is and say, ‘Why?’ I see the world as it could be and say, ‘Why not? '” You can always say, “Why not?” when you’re told you can’t accomplish something. You can always say, “So what?” when evidence is presented against your dreams. You can always say, “It’s possible” when you have a different vision for your child. Your potential is limitless, so don’t give up. You have more greatness than you might think. 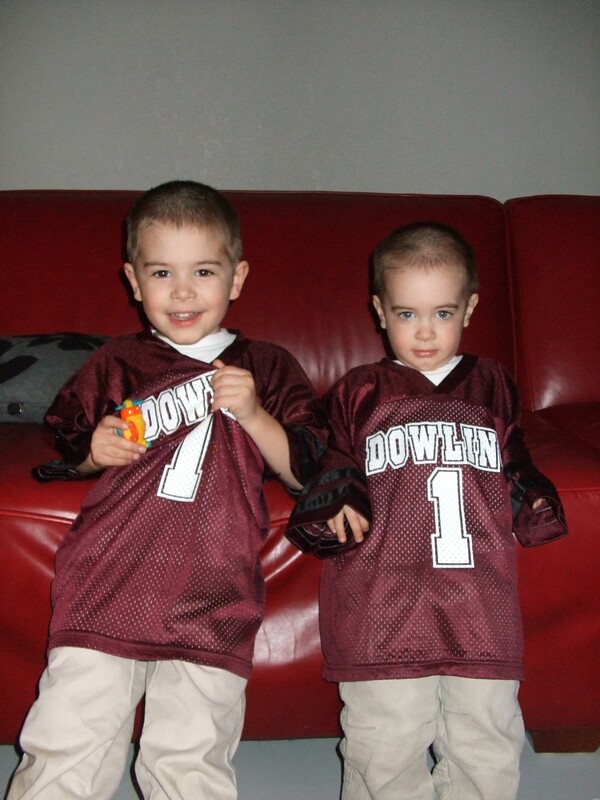 – Our wonderful neighbors Kim and Dan who bought the boys these shirts-go Maroons! This couple is always so giving of their time and energy to help others. We love them so much! – Our dear, sweet friends near and far. Some we get to see regularly, some we haven’t seen in years. We love you all and are thankful you’re in our lives. -Insurance reimbursements!! (Yep, we switched insurance companies for our home and auto when we moved and due to our pre-paid premium, we got some of it back! Thank you Lord for always providing! We had not even been thinking we’d get some back, so this was a huge blessing when I opened the mail last week. Speech therapy AND Christmas! -We’ll be having a 4 day weekend soon. We need the rest and family time. -When boys take naps at the same time and the house is QUIET. My mind can rest. -I have to say I’m truly thankful for the internet. It can be a HUGE time waster, but for all my research and reading that I’ve done, it’s been a major blessing. -Most importantly, I’m thankful for a Savior who loves me unconditionally, who stays with me constantly, who guides me gently and who never fails me. Thank you, Lord, for all of the blessings you have poured out on me and my family. My lovely sister-in-law Julie works for Imagine Nation in Boulder, CO. She has access to TONS of great educational books and games. She came to my rescue yesterday when she sent us a package full of VISUAL tools to help Gavin with numbers, words, colors, etc, etc. The best thing is that there are many different uses for each product so these will keep us busy for a long time. Thanks so much, Jules! So, I’ve kind of been having these crazy panic moments that it’s very nearly the end of the year and I have a LOT of things that need to get done. Some are way more important than others, and the rest are just added to make me that much crazier (in no particular order). 5. menu plan and shop for the Specific Carb Diet-we start the day after Thanksgiving! 8. start a blog about our immense rehab project on Forest Ave-you asked for it, now i just have to find time to do it. 15. clean off my desk!!! I totally forgot to blog about this yesterday, but Erin Kiernan on TV13 is doing a 3-part series on Autism and Insurance this week. (The first segment aired last night and can be viewed here. Sorry I cannot post this directly to my blog. Scroll to the video portion and click on Investigation: Autism & Insurance). This new piece comes at a very appropriate time in our journey because we recently received our first insurance denial letter last week and I’m sure there will be many more to come. Gav’s speech teacher at school told us that due to the large number of students she sees in a week, we should probably consider getting outside speech therapy for Gav. That sounds good. What could be more beneficial than a private tutor once a week? Well, I called our lovely insurance company who has been pretty good to us thus far (remember we even got a reimbursement a while back) and was flat out denied on the phone. The lady wasn’t rude, per se, but she wasn’t really sweet about it either. (Think she gets that question a lot from parents with autistic children? Personally, I think she’s sick of the phone calls). Now we begin the appeals process. The lady at ChildServe said the only thing we can do is to continue to appeal. She said some of her clients have actually had luck doing so. Just one more thing for me to add to the to-do list. The down-side is that speech therapy is EXPENSIVE if not covered by insurance, but I don’t really feel like it’s something we should deny Gav of. So, there goes Christmas. Detox spray and speech. Woohoo! Today we took the next step with Gavin and had our first behavior counseling appointment with Grace Percival. Grace came highly recommended because she works strictly with autistic and Asperger children. Her waiting room and office were a dream come true for any child. It was bright, colorful, and FULL of fun toys. We could have stayed all day. Grace herself was wonderful with Gavin and was very helpful even on this initial visit. She confirmed my thoughts on Gav being a visual thinker and encouraged us to create a PECS book (picture exchange communication system). School had recently developed a book for him, but the pictures are line drawings printed from a computer program and may be very hard for a visual learner to decipher. I now have the task of taking digital pictures of Gav’s world and creating our own PECS book for home. She also thought it was a good idea to develop a schedule (also something he uses at school) made up of pictures. Since our days vary depending on school, this should help Gavin know what is expected of him each day. Our goal is to alleviate the meltdowns and aid Gavin in telling us what is bothering him. She also had a good idea for the whole getting out of bed a million times thing, so I’m going to try that tonight. (Unfortunately, Josh has to work late because of our appointment, so I’ll be going it alone). Keep your fingers crossed! Another issue I’ve been struggling with lately is whether or not we need to switch DAN doctors. Each doctor can only take us so far and lately I’ve been feeling like we may need to go another direction. Grace also mentioned that and we shouldn’t hesitate to try different ones (unfortunately, the next closest one is in Omaha). We still have a few tests that should be run through our current DAN doc, but after that I’m not so sure. The next biomedical step we take is metal testing. I’m very interested to see the results of this test. If Gav does have high levels of metal-which he most likely does (from vaccines) we will have to begin chelation therapy. For him, this would just consist of a mouth spray once to several times a day. (I find it so interesting that you can detox metals this way!) This test is pretty expensive, as is the spray, so it’s lookin’ like we’ll have to push that off until after Christmas. What kid wants to get detox spray in their stocking?!! Well, I’m off to take pictures…………. So I’m in the middle of reading Thinking in Pictures by Temple Grandin. Temple is an animal scientist, has a PhD, and she is autistic. Her book is an amazing portrait of how she thinks. It has opened up a whole new window into Gavin’s mind and how he processes information differently than the rest of us. Gav does not think concretely. Those concepts are completely lost on him. Temple points out three categories of specialized brains. First, there is the visual thinker. 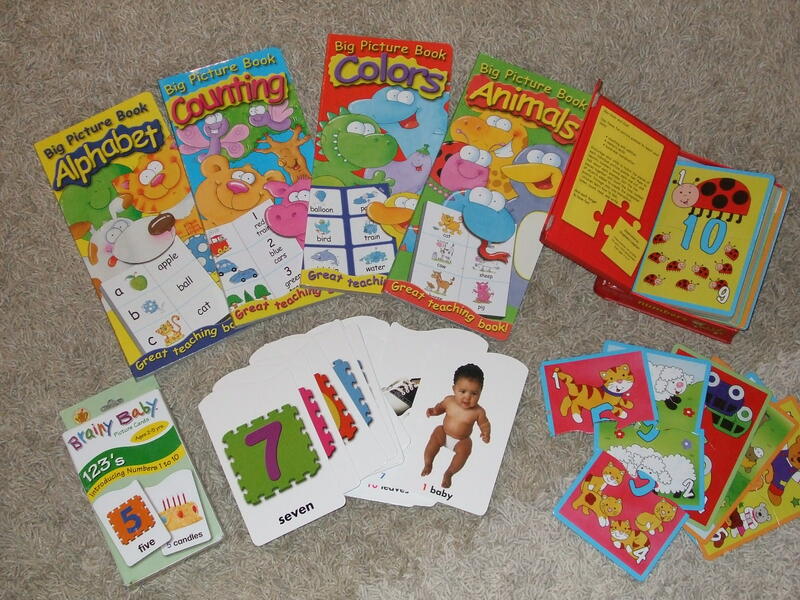 Children who are visual thinkers often have a hard time with concepts like algebra and foreign languages in school. They are more gifted in art, building, and visual type learning. Second, there are the music and math thinkers. These type of thinkers think in patterns and numbers instead of images. They generally tend to be good at music, engineering, computers, physics, etc. Third are the verbal logic thinkers. These people think in word details. They love foreign languages, stats, lists, etc. Often you hear of children with autism who have an uncanny ability to spout sport scores or odd facts (think Rain Man). An interesting thing that Temple points out is that children with speech delay (Gavin) are usually visual or math thinkers. After reading this portion of the book, I would definitely say Gav is a visual thinker. That would explain why he learned the entire alphabet at 15 months. We had the little magnetic letters on the fridge that he played with constantly. That also explains why we’re having a hard time teaching him to count. We just count, there is nothing for him to look at or touch. The the doctor tells you that climbing up stairs is safe. But you know what you saw with your own eyes and so you insist, “But obviously sometimes it’s NOT safe. Look at my child. I saw him get hurt!” The doctor just keeps shaking his head and denies that stairs could ever harm a child. This is how black and white it is for us moms who have children with autism. We had healthy beautiful children who climbed up stairs perfectly until one stair caused them to fall. We have witnessed the neurological downfall of our children after certain vaccinations, but when we tell the doctors what we saw, they don’t believe us. Can you imagine how frustrating that is?! This is exactly how it is when a child with autism gets better. No one believes he had anything wrong with him to begin with. People think these recovered children were misdiagnosed. The reason recovery is controversial is because we are healing these kids by treating the injuries caused by the vaccines or the environmental toxins rather than the autism itself. When we treat these things, the symptoms of the autism get better. The medical community is terrified to come within ten feet of detoxing metals out of these kids because it will point a finger DIRECTLY at what everyone is so scared to admit. Vaccines CAN trigger autism. There are two controversies about autism: first, the causes, and second, whether children can recover. A battle is raging in the medical community, but there is a growing army of mothers who are fighting for their children and witnessing recovery first hand. Imagine a world in which we are all fighting on the same side to help make children with autism better. The time to unite is now.